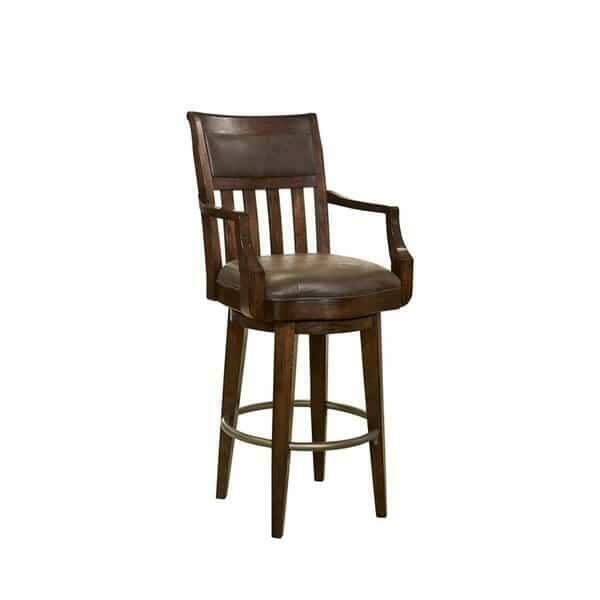 The Harbor Springs Bar Stool is a perfect match to the Harbor Springs Bar, but it does just fine on its own. The simple styling, reminiscent of mission furniture, would be suitable for nearly any décor. The Harbor Springs Bar Stool features Howard Miller’s own Rustic Hardwood, which has been distressed for a vintage appeal. Faux leather seat cushion and back rest offer easy to maintain comfort.